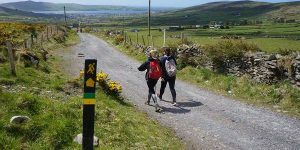 The IrelandWays.com travel specialists get you ready for an unforgettable adventure with these essential hiking in Ireland tips, are you ready? Let’s go! 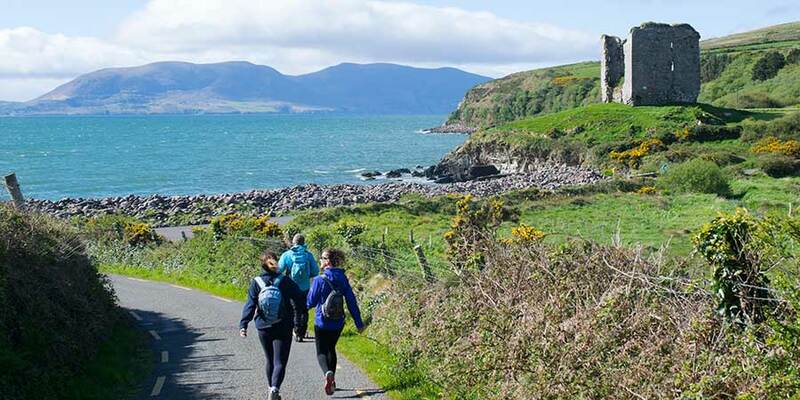 Being prepared for the weather is rule number one when it comes to hiking holidays, whether you are coming to Ireland or any other destination in the world. 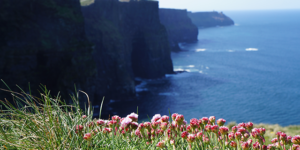 We recommend you check the average temperatures and rainfall while planning your trip (you can find this information in the ‘weather’ tab on each of our IrelandWays.com tours for instance), to give you an idea before you travel. We also recommend you always check the forecast the week before you are due to travel so you can adjust your packing accordingly. It is important you bring wind proof and waterproof equipment (mainly jacket but also quick drying trousers for instance or light waterproof pants you can pack for the day). Good hiking shoes or boots are recommended as some routes can get boggy and there is nothing more uncomfortable than getting wet feet while out walking! Sun block is very effective both for sunny days but also to protect from the wind. 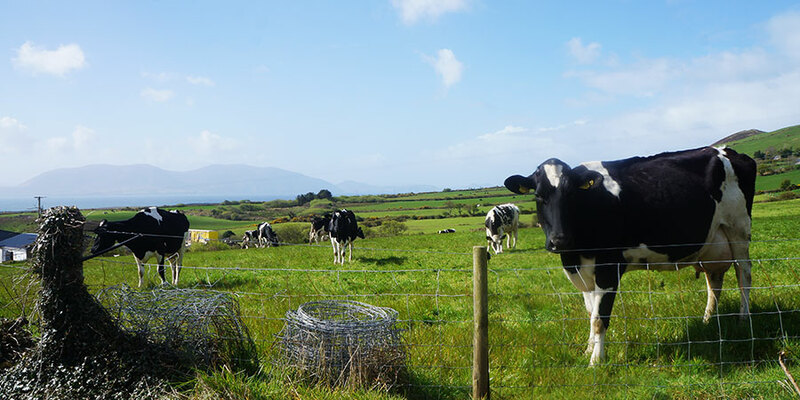 Ireland enjoys very long Summer days (and very short winter days!) 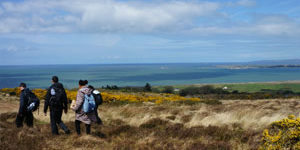 making Spring to Autumn ideal for hiking in Ireland. 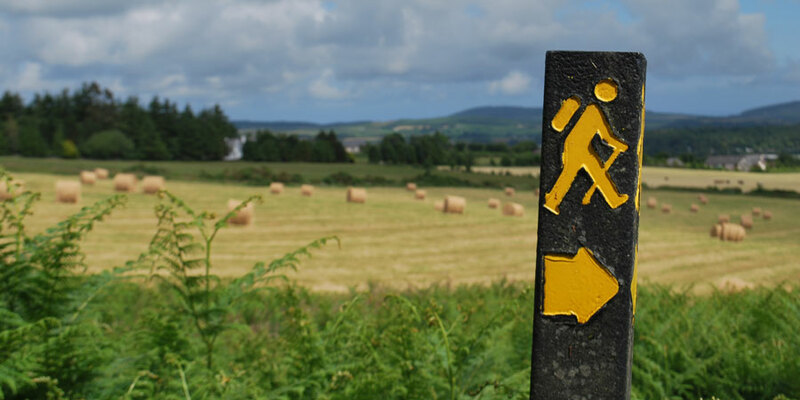 Most hiking routes in Ireland are very well marked and you will generally find the yellow walking man and yellow arrows guiding you. These signs are usually supported by trail-specific brown signs. If there are various trails crossing in the area, the arrows will be different colours (blue, red, green…). Always take your walking notes and maps, or route guidebook with you in case you are unsure. Apart from suitable clothing and shoes as mentioned above, you might also need to bring your hiking poles (always recommended if you are used to them) and a day backpack to pack your essentials for the day’s hike such as water, food, wallet, phone and your camera. 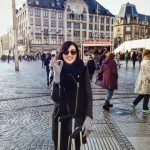 Layering your clothes is always a good idea so you can take clothes off if feeling too warm and add layers when taking a break for instance. A sun cap and warm woolly hat should also be in your day backpack as well as gloves (in Spring and Autumn) to protect your hands. Most hiking trails in Ireland are gloriously off road, which means no traffic and wonderful views for most of the way but also lack of services along the trails. For this reason, we recommend you check your walking notes the day before your set off to see if you will be passing towns or villages where food might be available. Pack a picnic with plenty of water and food to keep you going until your destination for the day, if that’s the case. Remember, you are in Ireland, so most pubs will also serve lunch. Many routes will pass near or cross private farmland so you are likely to encounter sheep and in many cases other farm animals such as horses or cows. Always close the gate behind you if that’s the case to keep farmers and farm animals happy. Now you are ready for your hike in Ireland!